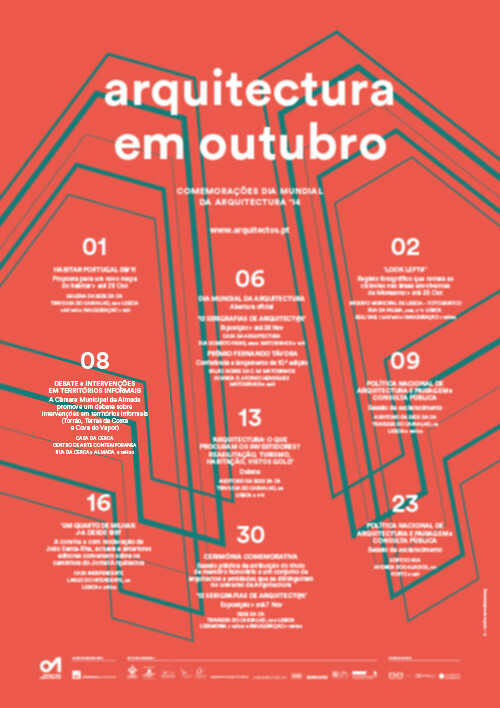 [ENG] Ateliermob will present "Working with the 99%" concept and Cozinha Comunitária das Terras da Costa (ateliermob + projecto warehouse) will be in the exhibition. In the past decade, as an effect of the economic crisis and social movements, many actors in the architecture and planning fields recognized that traditional funding models lost their capacity to feed small-scale, community-oriented urban projects. While designers elaborated new methods to address problems of community, participation and ecology, they also created alliances with a new generation of developers, economists, as well as law specialists to experiment with new models for funding urbanism. 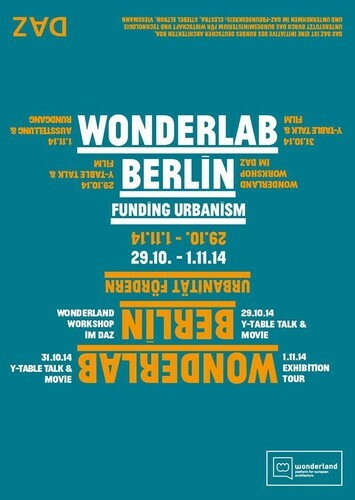 For Wonderlab Berlin, Wonderland invites protagonists of the new civic economy from various European cities to join the Funding Urbanism Berlin workshop: 4 days of site visits, presentations, debates and screenings, as well as an evolving exhibition. Comunitária’, nas Terras da Costa. Warning Lisbon: Just for whom? Ever since its foundation in the early 20th century and perhaps to a greater extent than any other site in Lisbon’s historical centre, the Martim Moniz square has been subject to successive architectural failures – construction projects, attempts at restructuring, attempts at re-signifying –, with the most recent having begun in 2011. Whilst Portugal may be known as a country of emigrants – experiencing its highest peaks between the 1950s and 1970s as well as currently courtesy of the austerity policies enacted under the troika and the corresponding surge in the unemployment rate –, the country is also, and particularly Lisbon, the destination for many immigrants. Martim Moniz undoubtedly represents one of the places that best conveys the Lisboan propensity and vocation for the confluence and conviviality between different peoples. The Lisbon of the Middle Ages had defined quarters for Jewish and Moorish communities: the ghetto on the insalubrious side (North/West) of the Castle slope had been granted to the Moors in the wake of the Christian conquest. Ever since, this area has been a neighbourhood of immigrants with a particular incidence of communities of slaves freed in the 18th century, the Galician community and, more recently, from the former colonies and south and east Asia. Out of the historical results of this confluence, this proved the site of the origins of Fado, a possible heir of the Lundum and, as such, of the black community and their close proximity to the poorest and most marginal sections of the white community living there. What is more, this practice of coexistence has since remained and still remains. In the 1940s, with the intention to link Av. Almirante Reis with Rossio (and under the auspices of a neo-imperialist hygiene policy), a section of the Mouraria neighbourhood was demolished to make way for Martim Moniz. Various proposals were thereafter made for what to do with the emptiness resulting from this house clearing. However, not one of them actually got built until the 1980 launch of a public tender to draft an Urban Renovation Plan for the area. The winning project, by Carlos Duarte and José Lamas, who declared openly – and perhaps I might say somewhat ambitiously – that their solution represented the continuity and sedimentation of the existing urban fabric (1), ended up not getting completed in its totality and having built only two shopping centres – Centro Comercial da Mouraria and Centro Comercial do Martim Moniz – that today, alongside Hotel Mundial, constitute the triptych that best visually identifies this site, forming one of the most criticised architectural ensembles in Lisbon. With the emergence of these two structures, the wholesale market, nowadays mainly run by the Asian community, gained in scale and gradually became the main economic activity taking place in Martim Moniz. The notorious shopping centres have both been transformed into packed and bustling galleries, where large scale commerce intermingles in an endless hustle with the small scale informal sector. On the contrary, the enormous empty space making up the square spiralled downwards into progressive decadence. Following the construction of a car-park under the platform and the ill-fated project of the landscape architect Gonçalo Ribeiro Telles, the marginal dynamics of the square continued to persist, unused, uncomfortable and dirty, all the while becoming a hotbed for the sale and consumption of drugs. In 1997, the space was once again reformulated: around forty kiosks were installed with the objective of revitalising the square through a market with regional products, antique and handicrafts, mimicking a traditional market. Following the broad scale closure of most kiosks, Lisbon Municipal Council removed the majority of them in 2000 to once again transform the square into a large, open place. Even while still connoted with insecurity and a general rough ambience, this proved the point in time when the square slowly but gradually began to be appropriated as a public space by those living and working in the vicinity. Right in the middle of the square or by one of the still surviving kiosks, whether as a place for passage, rest, consumption or as a venue for sport, this space has been slowly and steadily reoccupied and re-signified by the population. It became the place for religious processions, the beginning of the annual May 1st protest march, demonstrations on behalf of immigrants along with other events, "sporadic but continuous"(2), in a clear relationship between the identity and the demonstration of a counter-culture. In 2011, with the well-intended and necessary objective of re-qualifying the space, a public tender was held for the kiosk concession and for the launch of a weekend market. The tender was won by its only bidder: an event production company specialising in sound and video. The bid stipulated, within a discourse defending the "eclectic and ethnographic"(3) character of the site, the provision of ten kiosks equipped for serving up quick meals, each reflecting a different national gastronomy. In the central area, with tables and chairs provided, "this shall function as in Colombo [one of Portugal’s largest shopping centres] or as in any other shopping centre of this type"(4), the concession director stated in declarations to the Público newspaper before explaining how "to get the project running, we have entered into contacts with over 60 associations and communities and we also talked to various embassies"(5). The stands, open at the weekend for the Fusion Market, are mainly taken up by outlets offering creative objects, end-of-collection brand clothing, vintage clothing, organic produce, among other similar types of products; totally out of sync with the otherwise prevailing local dynamics. The kiosks open during the week were leased to different types of food providers – pizza, gourmet hamburgers, sushi, Brazilian gastronomy (...) – in a fairly lame attempt at providing some multicultural portrait but neither representing the locally prevailing type of commerce nor enabling local business participation. The refurbishment of the square, commissioned from CHP Arquitectos by the concession holder, includes the installation of generic shadow casting structures as its main feature. More recently, an artificial grass covering was laid out in between the different café terraces along with some panels featuring photographs of the small local stores, their owners and clients who, in all likelihood, are unable to sample the cocktails served up there at €6 apiece. The musical program is exclusively the responsibility of the concession holder. 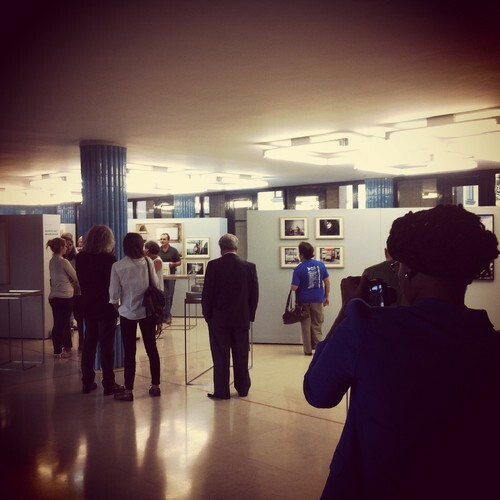 The media have enthusiastically covered this operation and correspondingly characterised it as an example of "returning this space to the city"(6). Clearly, the local residents and small business owners are not included within this scope, not even as consumers. The local community finds neither the space nor the purchasing power to engage in the economy that is being generated in the square. The space has been "returned" to a minority with the appropriate level of purchasing power, who drop in on the location on an occasional basis. This operation on the Martim Moniz Square – now designated Dragon Square by the concession holder – fits in with a series of recent interventions in the historic centre of Lisbon, largely driven by the current phenomenon of a sharp rise in tourism and its respective industry and in conjunction with the generalised acceptance of a discourse which, also aligned with the fashion for "entrepreneurialism" and the "creative industries", advocates regeneration and requalification driven by gentrification generator mechanisms. 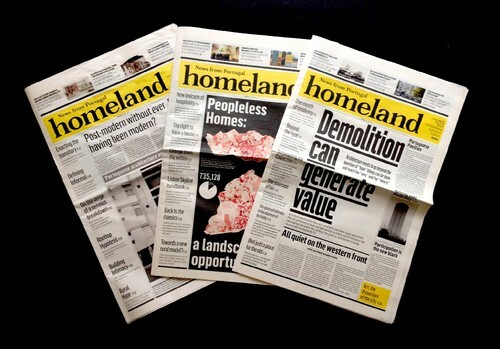 Even while not garnering any support from residents, workers or traditional users, and not even targeting such communities, these “requalification” operations are whitewashed and justified by the fact that they improve the area from the perspective of an elite endowed with the purchasing power necessary. It is for them that the entire initiative was really destined and deemed appropriate. The opportunity for a real, integrative and responsible regeneration, which leverages its relative lag in relation to other old European cities and that is able to meet the true needs and opportunities of the locally present population and thereby driving local economic revitalisation, is spurned by the total delegation of all responsibilities to a private company with a promotional discourse that only apparently reaches out to meet the objectives and intentions of the institutions with overall responsibility. 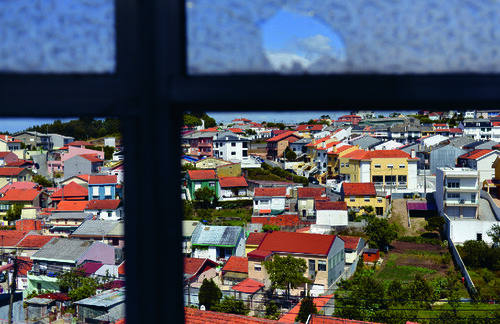 (1) Duarte, Carlos, and Lamas, José, "Proposta para a Renovação urbana do Martim Moniz" p. 29.
http://www.buala.org/pt/cidade/interacoes-reflexivas-sobre-o-novo-plano-martim-moniz [accessed 25 June 2014]. (4) Cerejo, José António, "Martim Moniz vai ter restaurantes e um mercado intercultural" in Público http://www.publico.pt/local/noticia/martim-moniz-vai-ter-restaurantes-e-um-mercado-intercultural-1545447 [accessed 25 June 2014].